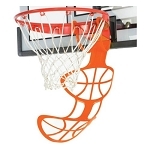 This Lifetime basketball portable goal is easily moved with it's Lifetime portable base system. 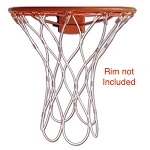 The backboard and rim is adjustable so small children can learn to shoot properly and older children and adults can slam dunk. Q: How can I get a replacement rim? Dimensions: 51" x 34" x 11"